Demure, elegant and classic. 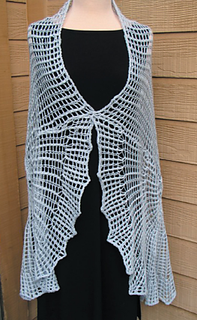 The shawl is started with an X and O (hugs and kisses) cable pattern center panel. 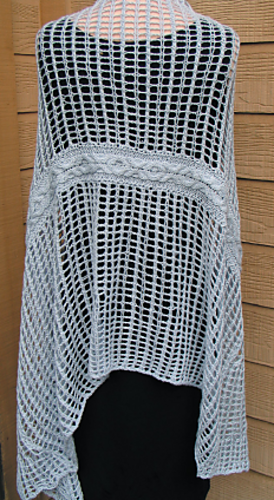 The lacey openwork for the rest of the oval shawl is picked up and worked outwards from the cable center panel.